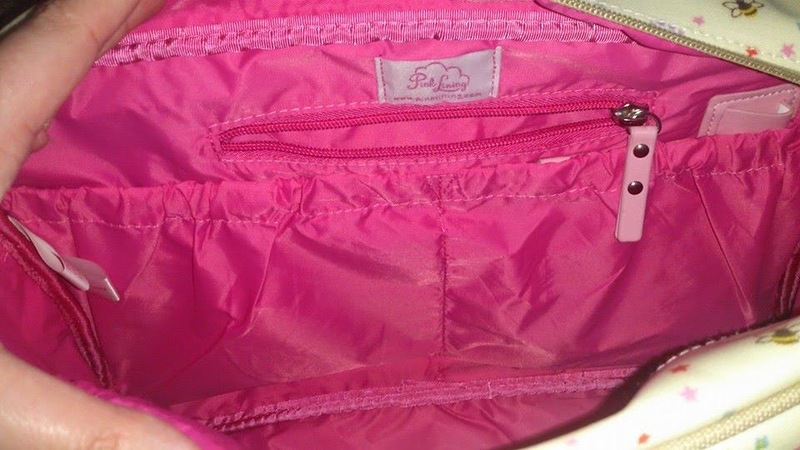 When I think of changing bags I think of Pink Lining! and the iconic Yummy Mummy logo! Their changing bags are not only stylish and oh so pretty but are super practical too. Offering endless space, pockets and clips to hold everything you and baby could need. So when we were offered the opportunity to try out a Yummy Mummy bag I think I may have squealed with excitement! We were sent the Yummy Mummy bumble bees and stardust bag to try and isn't it pretty! 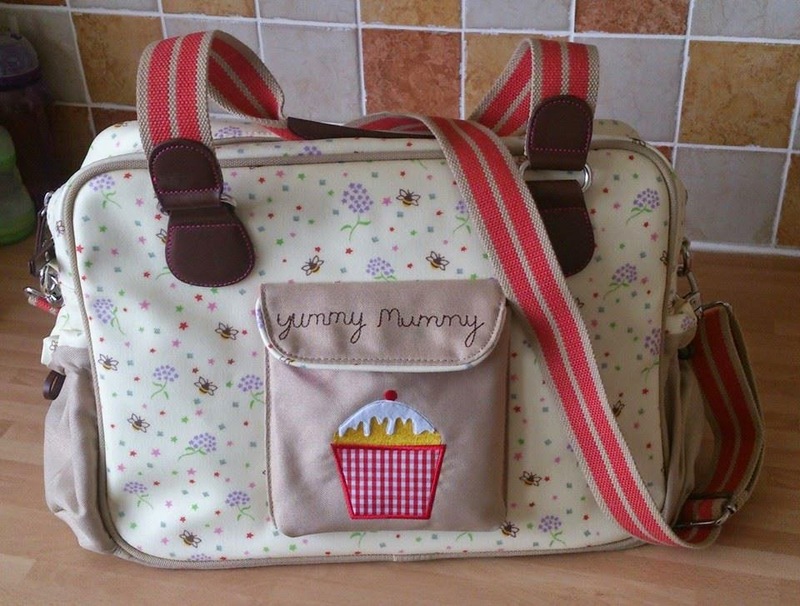 The Yummy Mummy is Pink Linings most popular changing bag. 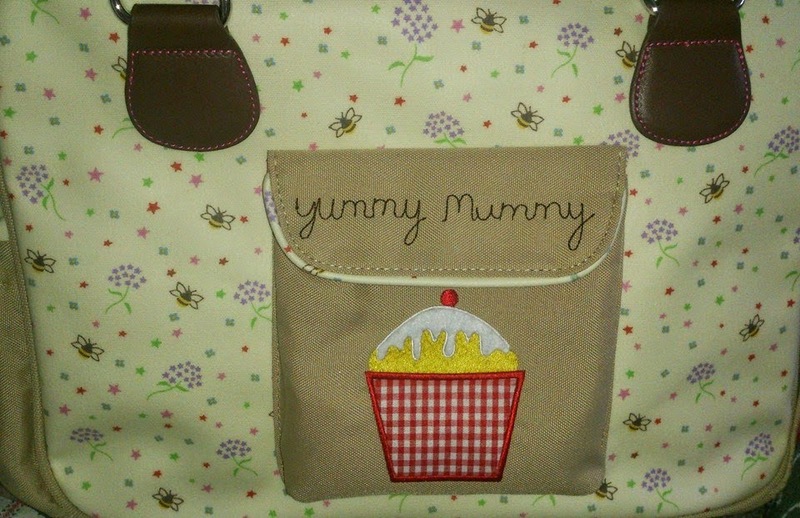 The exterior of this bag features the Bumble Bees and Stardust print and has two canvas elasticated side pockets with pretty PU bows and a front canvas pocket with Yummy Mummy slogan and cupcake patch. The bag comes with an adjustable shoulder strap that is long enough to fit over any pram/buggy handle bars. As well as that the Yummy Mummy bag also features 2x insulated bottle holders, 2x nappy pockets, pen holder, key fob, small zip pocket, padded changing mat and wet zip bag all inside! When the bag first arrived the first thing I noticed was the quality. The bag was sturdy and the canvas handles and longer canvas strap included are well made and attach to the bag well. The bag is also beautifully lined with a vibrant pink lining (the signature pink lining stamp!). The attention to detail is second to none. There is so much room inside this bag that I really cannot convey it over photos. The bag was big enough to not only fit everything I required for a day out (phone, purse, keys etc) but everything for Evelyn including bottles, toys, spare clothes and snacks and there was even room for a few items of James! This is the first changing bag I have found that was able to easily fit all of our things in without the need of an extra bag for James' items! The bottom of the bag features silver studs which protect the bottom of the bag when you are putting it down. I really like this feature as I am often putting my bag down in all sorts of places and these stop the bottom getting dirty or ripped. I love the whimsical look of the design on this bag, The bumble bees and soft purple flowers give it a quaint spring/summer feel and the small brightly coloured stars give it a pop of colour. 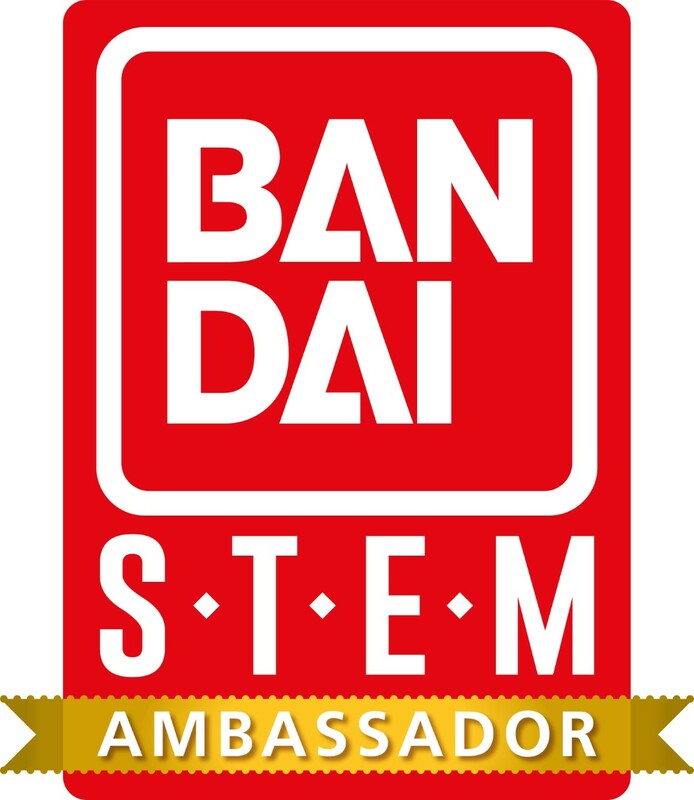 The design is completely unisex too. This bag is priced at £79 which is quite pricey but really worth every penny. The bag is well made, sturdy and built to last as well as look beautiful! For that price you are not only getting the change bag but a changing mat and wet bag that fit fantastically inside the bag. Pink Lining not only sell Yummy Mummy bags they sell a whole variety of bags including childrens rucksacks, Change Bags specifically for twins, Holdalls, Totes and even wallets and Bottle warmers to match the bags and so much more. If you havn't already you really should pop over and check out the Pink Lining website here - www.pinklining.com. You can also stay up to date with all the latest news and offers on the Pink Lining FACEBOOK and TWITTER pages. Oh lucky you! I really love all the features of the YM changing bags, I'm on the lookout for a bag big enough to carry newborn and toddler bits for when the new baby arrives in a few weeks! I quite like the look of the twins bag in cream/bows, and I'm sure they used to do a gorgeous owl print rucksack but can't see it anymore! I have to say it looks really pretty and I particularly like the finishing touches such as the stitching to the front and the cute bows on the side. They do look really practical and well thought out too, with plenty of pockets and storage space which is so essential for the mountain of baby stuff we carry around! Such an adorable print! 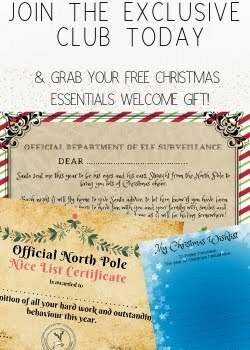 I think I would need one with Scummy Mummy on for me tho! 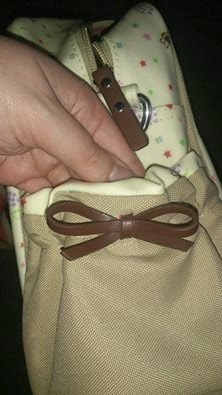 Love all attention to detail in providing all the pockets etc that are so vital in a good changing bag. That is a great lucky bag!! Lucky you, I love it! What a fabulously cute bag. I want one even though I'm beyond changing bag stage. Pink lining also have fab sales, both my old changing bags I bought in the sale, then sold nearly for full price on ebay once we had used them (because they didn't sell that pattern anymore) hehe. Gorgeous. 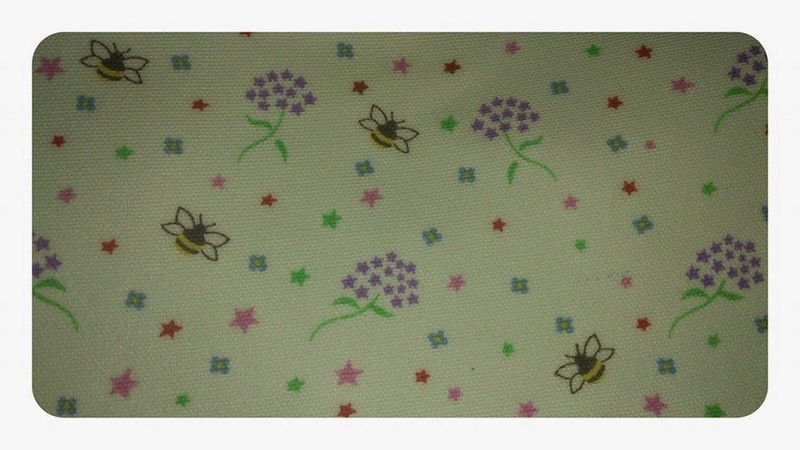 I love Pink Lining and had one when my son was little, featuring my favourite things - butterflies and dark green. I was really impressed with their customer service too. When I lost the change mat that went with it and asked to pay for a replacement they just sent me one. I have a Radley bag this time around for a change but I did consider Pink Lining again. Glad you loved the bag, I haven't has the need for one of these for a while now! It look like you would be able to get all those essentials and more in too! Love the look of this bag. I need a new one too but just can't make my mind which one to pick. All of my friends had one of these bags! They were everywhere a couple of years ago! Too cute.